An accidental tribute… or is it? This is from back in 2014 «Mode Chocolate Boutique» Now it’s actually Aine’s hair deigns). You can see it on Streetview/GoogleMaps or similar. It’s in Cork, Ireland (duh). [Cafe Depeche](http://www.cafedepeche.com/aboutus.html) is real and very cool. They had this «Mode Chocolate» opening announcement on their FB page. 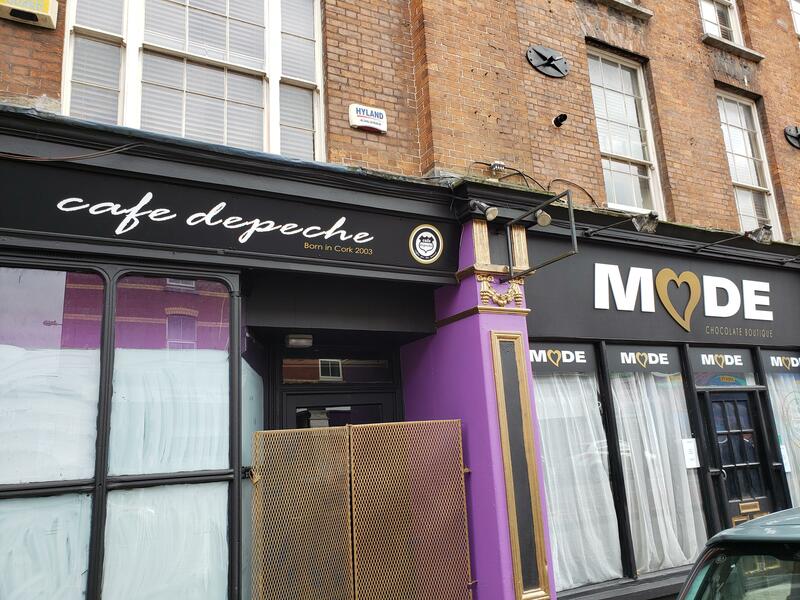 Cafe Depeche has been on my bucket list, but I been yet, Got to the UK a bunch just not to Ireland.